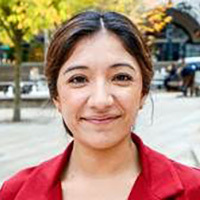 Marycelith (Mari) Valencia Aguilar is currently in her second year of the Masters in Urban and Regional Planning (MURP) program at Portland State University with a focus in Community Development. She is an active member of the Graduate Students of Color student group at the College of Urban and Public Affairs (CUPA), holds a student representative seat on the MURP Executive Team, and helps support the work of CUPA's Diversity and Equity Committee. In her first year in the program, she worked for a small but mighty planning firm, Cogan Owens Greene, as a bilingual planning associate. There she helped support various initiatives throughout the Portland Metropolitan Region and the state of Oregon within the transportation, housing, and long-range planning sectors. Now, she is with EnviroIssues where she specializes in supporting planning processes and efforts to build equitable communities. She combines her experience in community mobilization and advocacy with her training as an urban planner to help design and implement inclusive, people-centered engagement programs. Mari is inspired by the power of people to create and sustain great communities. She hopes to continue to work and grow with organizations that value diversity, equity, social justice, and sustainability after completing her master's degree in the fall of 2018. 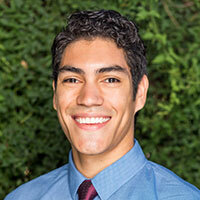 Brandon is a recent graduate from Arizona State University, having graduated with a bachelor's of science in Urban Planning and a bachelor's of science in Sustainability. He will go on to pursue a master's in Urban and Environmental Planning degree this fall. His main points of interest are in energy, community development and the interconnections between the natural and built environment. He has had the opportunity to be involved with local schools, neighborhoods, and businesses in various applied research projects throughout his time at ASU. Along with being a member of multiple student organizations, he has also held leadership positions in Green Light Solutions, a student run sustainability consulting organization, and the Honor Society for Sustainability, a professional skill-building and networking oriented organization. He will take a position as treasurer for the Student Planning Association at ASU come this fall. At the international level, he has studied sustainable urban development in Spain and Morocco, as well as Mandarin Chinese in China. Currently, he holds a position as Program Associate with the Sonoran Institute working under the Western Lands and Communities Program, a joint initiative with the Lincoln Institute of Land Policy. In this program he works at the nexus of commerce, community, and conservation through helping inform urban policies and environmental conservation efforts in the North American West. Daniel grew up in California's Central Valley, where he learned to appreciate the hardships faced by many Spanish speaking communities. It became his goal to work with Latino communities to overcome these hardships, and for the past several years he has been able to fulfill his goal. After completing his undergraduate studies at UC Irvine he moved back to his hometown of Bakersfield, California, which has a large Latino population. He was presented with many opportunities to meet and assist individuals in crisis during his tenure within Bakersfield's non-profit sector. Talking and working with these individuals allowed him to see what problems the community was facing as a whole. Specifically, his interest in transportation planning began when he worked for a homeless shelter in Bakersfield. One of his many duties was linking individuals to supportive services that could help them attain stable housing, income, medical assistance, or even vouchers for food. However, in doing this he realized that the biggest obstacle in people's paths to receiving these services was a lack of transportation. This experience crystalized an idea that had been slowly coming to him. This concept was that the ease of which a person travels through a city greatly impacts a community's ability to grow and prosper. With this thought in mind he decided to further his education so that he might be able to improve transportation services in cities like Bakersfield. He is currently pursuing a dual Masters degree in City and Regional Planning and Transportation Engineering at California Polytechnic State University. During his graduate courses he's had the opportunity to work on many interesting and exciting projects. Currently, he is working on a parks master plan update for the City of Woodland as well as a complete streets design proposal for the City of San Luis Obispo. When the opportunity presents itself he also volunteers as a Spanish translator for community outreach efforts in Hispanic communities. He looks forward in expanding his skillsets as a planner and implement his skills in the communities he works for. Jessica Medina is the daughter of Mexican immigrants who settled in South Los Angeles in the 1980s. Growing up in Watts — a neighborhood bounded by industrial uses, the 105 Freeway, and the Alameda Corridor — sparked in Jessica an interest in environmental justice and community health. She holds a Bachelor of Arts in Urban Studies, with a specialization in architecture, from Columbia University. Jessica served two terms of AmeriCorps National Service prior to returning to Los Angeles in 2013: From 2011-2012, she assisted with community development programs in the Central Valley of California, working with staff, council, and residents to build housing support for low-income and undocumented workers; from 2012-2013, she worked on youth engagement, affordable housing advocacy, and volunteer mobilization with Habitat for Humanity in New York City. Currently, Jessica works as an organizer for the Participatory Budgeting Project and coordinates community engagement and outreach efforts for participatory budgeting processes in Long Beach, California. She recently completed a research assistantship to Dr. Manuel Pastor and affiliated researchers at the joint USC Program for Environmental and Regional Equity and the USC Center for the Study of Immigrant Integration. Jessica volunteers as a Program Coordinator with Watts Community Studio; where she is helping to develop and implement a summer youth employment program that will teach community health planning skills to high school students. Jessica is completing a dual master's degree in Urban Planning and Public Policy at the USC Price School of Public Policy. After completing her degree in May 2016, she hopes to continue to work and grow with organizations that push the boundaries of the traditional definition of community economic development through participatory planning. For many years, my career vision has included working with and in Latino communities. Over time, I have explored various ways that I might influence change in these communities. As I prepare to graduate with my Masters in Urban and Regional Planning from the University of Michigan, I am excited to continue on a professional path that includes planning, teaching, and influencing change in the food system. Specifically, I am dedicated to continuing to discover how I can best support increased food access and positive health outcomes in Latino communities. My interest in food justice was sparked when I worked as an intern at Northwest Michigan Health Services, Inc., a health clinic for migrant and seasonal farm workers in northwest Michigan. The majority of the clinic's client base consists of Latino migrant farm workers, mostly from Mexico. I was deeply affected by the stories I heard from the farm workers and their families. These were stories of constant migration, desperation for work, long hours of physical labor, and separation from family and friends. I started to think critically about our country's food system and its dependence on the underpaid labor of farm workers. More recently, I have worked with the Latino community in Southwest Detroit through my position as a program evaluator. My team has been evaluating the Health Rx food prescription program at the CHASS clinic, located in a predominantly Latino community. This program uses a new, innovative model to link the health care system to the local food system. Health care providers "prescribe" their patients to each more fruits and vegetables. Once the patients are referred to the program, they receive tokens to use at the clinic's farmers' market to buy fresh produce. It has been exciting to be a part of this new project, one that has potential to improve healthcare and food access in Detroit. I am eager to be involved in similar planning initiatives that, through collaboration with community partners and the use of models launched successfully in other parts of the country, can work to improve health outcomes in urban areas. My curiosity about the food system has turned into a steady commitment to understanding and unraveling its intricacies. This pursuit has pervaded much of my work at the University of Michigan and will inform the approach that I take to working in Latino communities on food-related issues going forward. As a Planner and Community Organizer, I have firm beliefs that people have the ability to design, build, and enact their own cities. Urban Planning fulfills my fascination with human interaction in urban environments. Being from Los Angeles, I especially relate to aspects of Latino Urbanism and everyday urbanism, as they have examined how communities of color can guide physical design to develop a more just, participatory, and autonomous city. In the San Fernando Valley, also known as "The Valley," all of my Planning efforts have been geared towards improving the postwar working class suburban life and urban form imposed on us by haphazard planning practices of the past. I have focused most of my energy on establishing cooperative working groups that promote the Bicycle as the most efficient form of transportation in what is considered the most car dependent city. Through the Master of Urban and Regional Planning program at University of California, Los Angeles, I am working to advance the field of participatory/everyday planning and incorporate elements of urban design primarily focused on economically impoverished communities of color. I am currently working with the design/build non-profit organization KDI on developing a bike share program, bike network, and repair space in a five-acre park in the North Shore community of Coachella, CA. With the help of this Latino community, my commitment of reclaiming streets, personalizing urban spaces, and advocating for social justice can be enacted through the built environment.